I am loving my crock pot for making delicious sides lately. It is a great way to dress up chicken breasts. 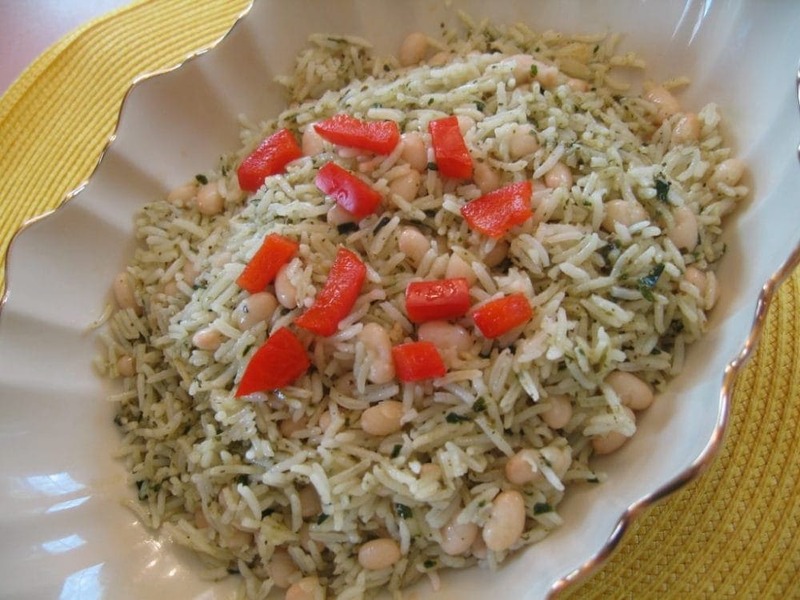 I love to use low fat salad dressing as a chicken breast marinade and then this fancy Pesto Rice and Beans on the side makes it the perfect meal! Combine beans, broth, & rice in crock-pot. Cover cook on low 2 hours. Stir in green beans. Cover cook 1 hour or until rice and beans ar tender. Turn off Slow cooker and stir in pesto and Parmesan cheese. Let stand covered 5 minutes or until cheese is melted. Serve immediately.